Viva Fashion Turns 5 Years Old! 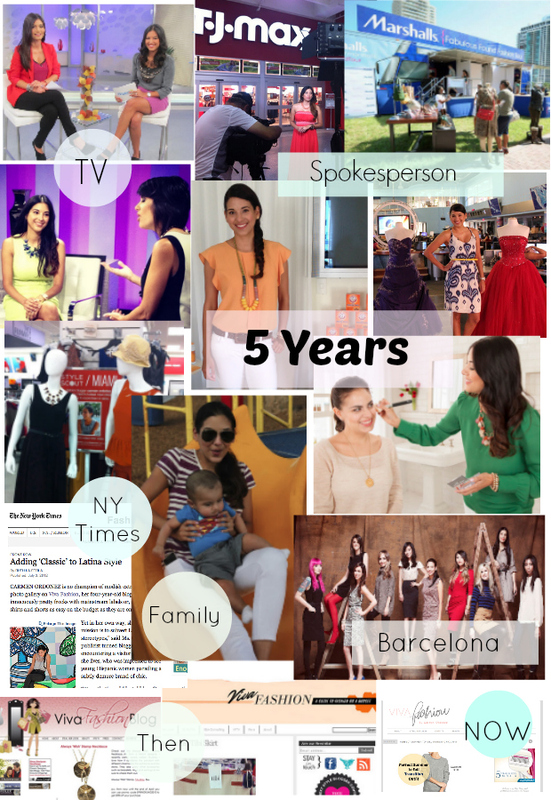 Viva Fashion is turning 5 years old today! Time really does fly by. I remember being just a newlywed and working a full-time job (back then I didn't even know what a blog was!) Now, my husband and I have been married for 6 years and this year we welcomed our first son! I'm so grateful to God for all the amazing opportunities he has given me. Thank you for being part of this journey with me. Your support means so much! I'm also so grateful to all the brands that have allowed me to work with them either through collaborations or working as a spokesperson, as well as all the amazing people I've been able to meet because of my blog. And to my right hand man, my husband. I really couldn't do all that I do without him. He's my IT guy, my accountant, videographer, manager and my #1 supporter hehe. I can't wait to share with you some very exciting projects we have in the works and continue to share this experience with you. This might sound cheesy, but never give up on your dreams--really. It takes a lot of work and persistence, but never give up on your dreams. Sometimes it doesn't happen when YOU want it to, but always trust that God has even bigger and better things for you. Here's just a small glimpse of the past 5 years. Hay, your post reflects your happiness. I can truly sense how happy you are on the fifth anniversary of Viva Fashion. I wish you more good luck and success ahead.